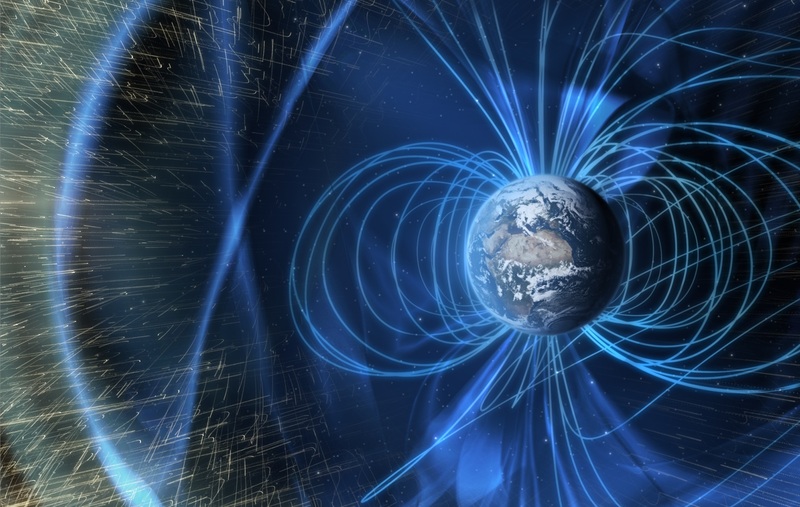 Neutron radiation from the sun can damage satellites and harm astronauts in space. Nuclear devices on Earth also emit neutron radiation. This makes neutron radiation detection an important issue for the space program, satellite communications, and national defense. But unlike electrons and protons, neutrons don’t have any electric charge. Neutrons can pass through many kinds of solid objects without being scattered or absorbed. This makes it difficult to build devices to detect them, so we need special materials that absorb neutrons and leave a measurable signature when they do. In the past, most neutron detectors used helium-3. There is now a worldwide helium shortage, so we need to research different materials to detect neutron radiation. But neutrons from space collide with particles in Earth’s atmosphere, making it difficult to measure neutron radiation signals. To get around this difficulty, researchers at the University of Nebraska-Lincoln are studying the effects of solar neutron radiation on two types of materials on the International Space Station (ISS), using detectors made of very stable compounds that contain boron-10 and lithium-6. Boron-10 and lithium-6 are two special isotopes of the elements boron and lithium that readily absorb neutrons far better than most other elements. When they do, they fragment into highly energetic ions that leave behind a track of damage and can create a charge pulse in a semiconductor device (Fig. 1). The UNL Detector for the Analysis of Solar Neutrons (DANSON) experiment consists of 17 lithium tetraborate (Li6B4O7) crystals and five boron carbide (B2C10HX) semiconducting diodes. The boron carbide diodes measure the charge pulses created when the materials absorb neutrons, and the lithium tetraborate crystals will have damage tracks in their crystal structures that we can “see” using fluorescence, x-ray diffraction, and electron spin resonance (a technique similar to magnetic resonance imaging, or MRI). 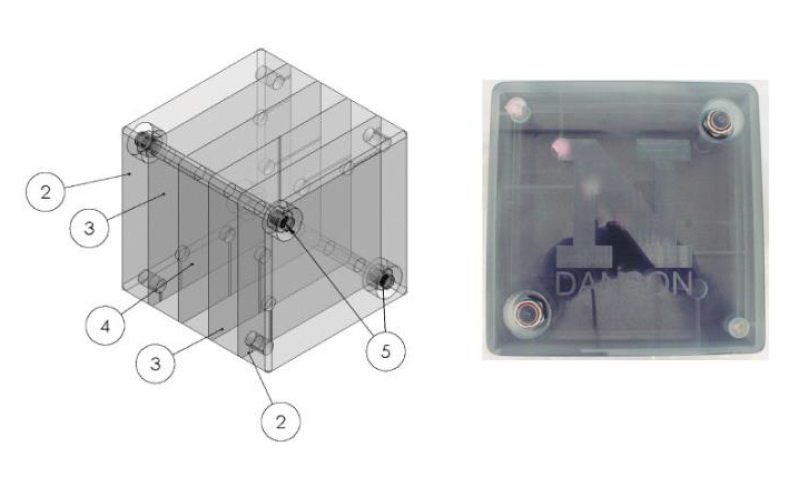 The DANSON experiment’s lithium tetraborate crystals and boron carbide diodes were encased in a neutron-moderating polycarbonate, which is a type of plastic (Fig. 2). Since neutrons from the sun are too energetic to be “caught” by the detectors, we had to reduce their energy first. The neutron moderator “steals” energy from neutrons as they pass through the material, a little bit at a time, until they have low enough energy to be stopped by one of the detectors. Placing the detectors at different depths allows us to determine the energy of the neutron radiation we capture—we can infer that neutrons captured deeper in the moderator must have had higher starting energy, since they were able to penetrate further into the material. Now that the DANSON experiment has returned from the ISS, we are looking for radiation damage to the structure of the crystals (Fig. 3) and comparing the electronic characteristics of the diodes from before and after their journey. We hope that what we learn with this experiment will help to advance the development of small, effective neutron detectors for use on Earth and in space. By examining the distribution of neutron captures in our moderator, we also hope to catch a glimpse into the nuclear fusion processes that fuel our sun! Fig. 1 (Click to enlarge) Fig. 1 (click to enlarge) In capturing neutrons, a boron carbide semiconductor creates reaction products that produce measurable charge pulses. Fig. 2 (Click to enlarge) Fig. 2 (click to enlarge) The DANSON moderator cube diagram and photo. By encasing the detector elements in a neutron-moderating plastic, we can "slow down" the neutrons enough for the detectors to capture them. Fig. 3 (Click to enlarge) Fig. 3 (click to enlarge) X-ray crystallography allows us to study the structure of various kinds of crystals by looking at the patterns light makes when we shine it through the crystal. This example shows one type of pattern that can be produced by shining an x-ray beam through a crystal onto a special screen.